Posted by randydeutsch in books, creativity, problem solving, questions, survival. What’s the hardest thing you’ve had to do as an architect? Some might say it was taking (or retaking) the licensing exam. For others, it was the late-nighters before a major deadline when nerves were on edge. For still others, it was biting their tongue while their boss took credit for an idea that only moments earlier they themselves had uttered. When I think of the hardest thing I’ve had to do as an architect, it is something completely different. It’s not even something that occurred in the past. It’s something that is happening right now. Because, for me, the hardest thing I have ever had to do as an architect is to be an architect. Merely being an architect today is the hardest thing I have ever had to do. Period. As it turns out, architects are uniquely equipped to deal with our current situation. In an earlier post I listed the many well-known attributes of the architect. One I failed to call attention to is the ability to think on their feet. What MIT professor Donald Schön, in The Reflective Practitioner: How Professionals Think in Action, called reflection-in-action. In the book, Schön examined five professions—engineering, architecture, management, psychotherapy and town planning—to explain how professionals go about solving problems. The best professionals, Schön maintains, know more than they can put into words. In other words, tacit (or embodied) knowledge. Tacit knowledge, in being intuitive and experience-based, is hard to define. Nonetheless, it is regarded as the most valuable source of knowledge. 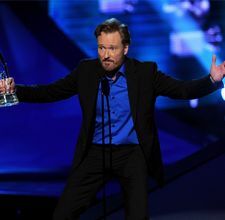 And the most likely to lead to creative breakthroughs. To meet the challenges of their work, professionals such as architects rely less on rules-of-thumb and methodologies learned in school than on improvisation learned in practice. The improvisation that occurs when we’re giving an extemporaneous presentation and, afterwards, don’t know where our words came from. This unarticulated, largely unexamined process – the subject of Schön’s book – shows precisely how ”reflection-in-action” works. And how this vital creativity might be fostered in future professionals. Detractors of Schön’s notion of “reflection in action” point out that there is seldom time for reflection when a person is engaged in work. But it is this very absence of time that renders the architect’s ability to think on their feet all the more remarkable. Our goal as architects is to move our situation from being dire to one that is manageable. Urgent, but no longer an out-of-control crisis. A sense of urgency is important for architects to experience. Urgency provides momentum and evidence of motivation. The problem is that we remain in a crisis state and – like the proverbial frog that doesn’t realize it is in gradually boiling water – we no longer realize it. Because – whether through fear or utter exhaustion – we have lost our perspective on our situation. This is where one of our most critical attributes comes in: our ability to think in the midst of a crisis. For practicing architecture presents us with an almost unrelenting state of crisis. 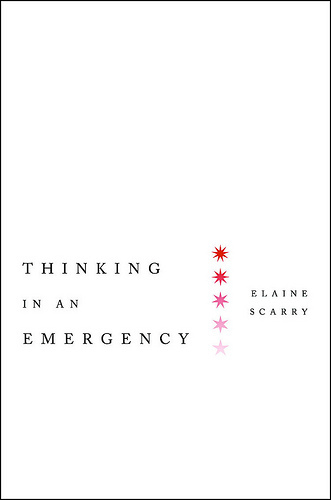 In Elaine Scarry’s new book, Thinking in an Emergency, she draws on the work of philosophers, neuroscientists and artists, to prove decisively that thinking and rapid action are compatible. In this light, practices that we dismiss as mere habit and protocol instead represent rigorous, effective modes of thought that we must champion in times of crisis. How is our profession – and individual architects that constitute this profession – acting in this crisis situation? Why do we seem inclined to abandon rationality, debate and deliberation, allowing others to take the reins of responsibility out of our hands? Architecture is an institution that relies on engrained training and cooperation to succeed. Scarry’s argument is that forethought and the inculcation of virtues form the only bulwark against panic when disaster strikes. And in order to think on our feet, we need all the bulwarks against panic we can get. So while thinking on one’s feet is a useful ability and talent, use this time for forethought and the inculcation of virtues. This is the time to prepare your thinking – and those you work with – to prepare for inevitable professional states of emergency. We all have a great deal we can learn during lean times. And we may never see a better time than today to do so. For a good crisis is a terrible thing to waste. Thanks Tara. I know I can always count on you to be everywhere at once – here. reading my blog; on Twitter, LinkedIn and at AIA Knowledgenet… Amazing! I think… firing a client. it was a long time ago and I was very pleased that I got the job with a national consulting client. but — they were absolutely wretched to work for (there was no working “with” them). About 2/3 of the way through the project, after a large submittal, I suggested they would be happier with a different consultant and I returned part of the fee they had paid me. This was the only client who ever screamed at me over the phone, or told me I “ruined their life” and by that time in my career, I knew that I wasn’t the problem. that was a tough thing to do, and giving up the fee (and the unbilled possible fee) was difficult as well… but it reinforced my feeling that this is a recipricol relationship between a client and me, and it has to work for BOTH parties.